The Showgirl Academy students stole the show when they performed at the Pumped Christmas Showcase on Tuesday 14th December. They performed a seductive Chicago routine and then the charleston students, after just 5 classes performed an excellent 20’s charleston full of knobbly knees and funny faces! If you fancy taking to the stage then take a look at our classes/workshops page to see what tickles your fancy…more performance opportunities coming soon! 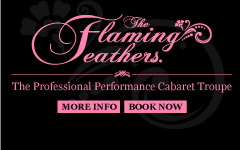 Don’t miss The Showgirl Academy xmas special! Have you been a good girl this year? I’m not so sure these girls have! 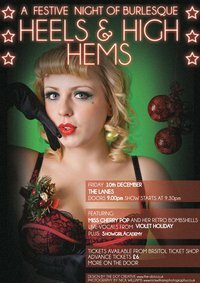 The Showgirl Academy students perform a Christmas special at Heels & High Hems second Burlesque night this year. This festive fun routine will have you tasseling along to ‘Rocking around the Christmas Tree’ ! !